Olivia Reed earned her bachelor’s degree in psychology from the University of California at Davis. 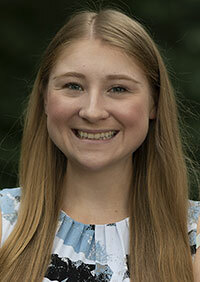 As an undergraduate, Reed worked as a research assistant in multiple social psychology labs and as a teaching assistant for the psychology research methods class. At Penn State she is excited to cross over into the field of communication, pursuing a degree in media studies with a focus on the media effects of entertainment and social media. Outside of school, Reed enjoys baking and is looking forward to exploring Pennsylvania.